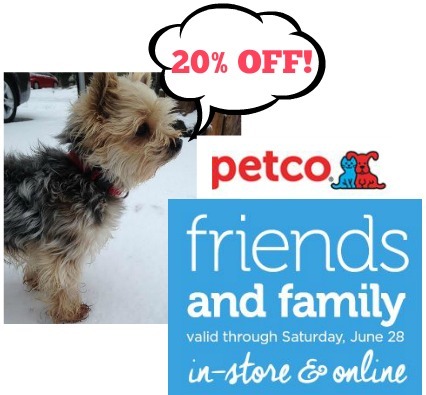 If you have a pet at home, you won’t want to miss the Petco Friends & Family Sale! Get 20% off your entire purchase in-store and online through 6/28. If you plan on shopping in-store, you can print your coupon here or you can shop online and use code friends. This is a great time to stock up on all your favorites for your furry friend! Choose from a huge selection of pet food, dog crates, leashes, bowls and anything you could need for your pet. Offer valid through 6/28. FREE Shipping on order $49 or more.